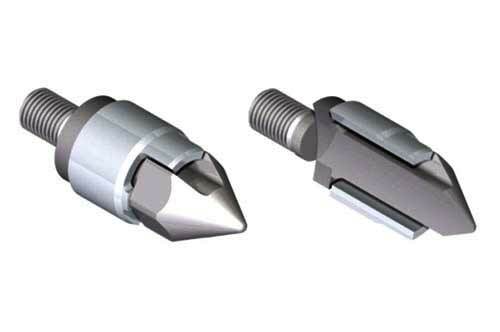 These type of Screw Tip Sets have check rings with feet or pins that lock the ring into the rotation of the feed screw, often referred to as “locking check rings”. The ring still has lateral freedom of movement. These designs generally offer improved shot control over open rotation rings. There is little wear on the ring or screw tip face. The abrasion is transferred from the faces to the outer diameter of the check ring and it is this wear surface that dictates the useful life of the valve.